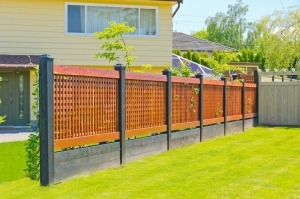 Choosing the right fence for your project can be a complicated and tedious process. That’s why you need an experienced contractor like ours at Pyle Fence to help make the process quick, fun, and painless. With over 75 years of experience in the business, our fencing contractors know a variety of styles and materials that will help bring your dream fence to life. If you’re not sure what you’re looking for, the numerous amounts of fencing options probably hasn’t made the decision easier. Let our experienced fence contractors at Pyle Fence help you settle on the right fence for your individual project. Whether for residential, commercial, or industrial purposes, our contractors customize your fence to fit your style, budget, and needs. We can also combine styles and materials for a more complex fencing system. Whatever kind of fence your property demands, our fence contractors at Pyle Fence can work with you to make your project a success. Call us at (410) 426-8319 for a free estimate!